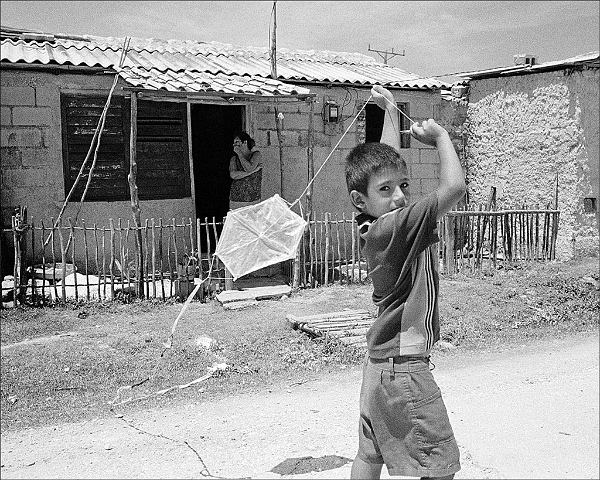 Boy with homemade kite, Gibara. This fishing town was destroyed by hurricane Ike in 2008 and severely damaged by Sandy in 2012. Each time the residents help each other rebuild and move on with life.